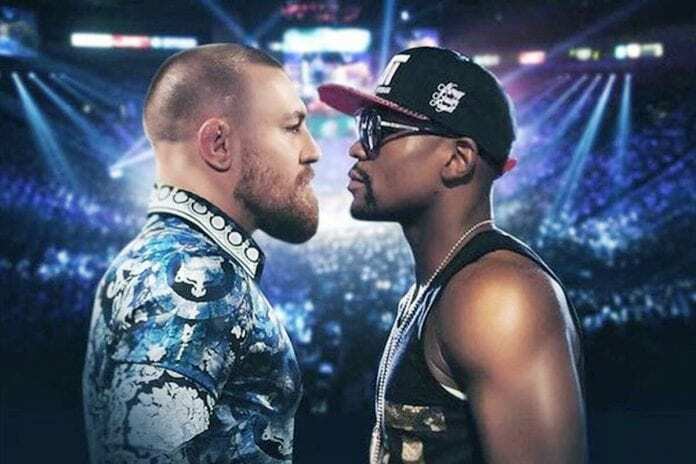 Undefeated champion Floyd Mayweather (left) takes on UFC titleholder Conor MacGregor Saturday night in a bout that many consider more a spectacle than a genuinely competitive match. For the first time in over two years there is a boxing match that is drawing attention across the board, not just from boxing fans. But it is so bizarre that many wonder whether it is the spectacle that is attracting interest rather than the actual fight, and others think it may hurt rather than help the sport despite the massive publicity coming its way. The fight matches undefeated champion Floyd Mayweather against UFC fighter Conor McGregor. Mayweather is 49-0, and has a chance to become the first boxer to finish his career with a 50-0 record, breaking his tie with Rocky Marciano at 49-0. McGregor is the only person to simultaneously hold UFC titles in two weight classes. But he has never boxed professionally, and there’s quite a bit of skepticism over whether this can even be a competitive event. But curiosity is why the fight is expected to attract more than three million pay-per-view buyers, and has a shot at breaking the Mayweather/Pacquiao mark for the most pay-per-view buys for any bout. But the general attitude is that it will be a joke, even though McGregor is big and strong enough to at least have a puncher’s chance against Mayweather. However even Mayweather’s detractors acknowledge he is the finest defensive fighter of his generation, if not ever, and almost no one gives McGregor any chance. “The fight is a complete joke,” Top Rank CEO Bob Arum told the Associated Press “If McGregor really thought he could win, he would have fought a 10-round fight against some journeyman [to prepare]. I don’t think he can beat anyone in boxing.” In fact many think it will do more harm than good, and point to the fact that despite the big numbers, the Mayweather/Pacquiao fight didn’t cause a surge of new interest in boxing. Others are also upset by the casual racist taunts and homophobic slurs that were loosely tossed around by both men towards each other as part of the promotional campaign. Whether any of this matters, and more importantly, will Conor McGregor be able to mount any type of challenge to Floyd Mayweather, will be revealed Saturday night.